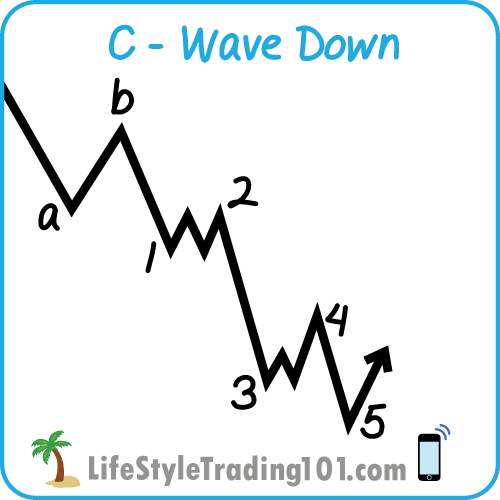 A C-wave down generally looks a little bit different from a normal impulse down. Look at the left side in the October region — there is a fractal in the first portion of the drop relative to the larger drop. 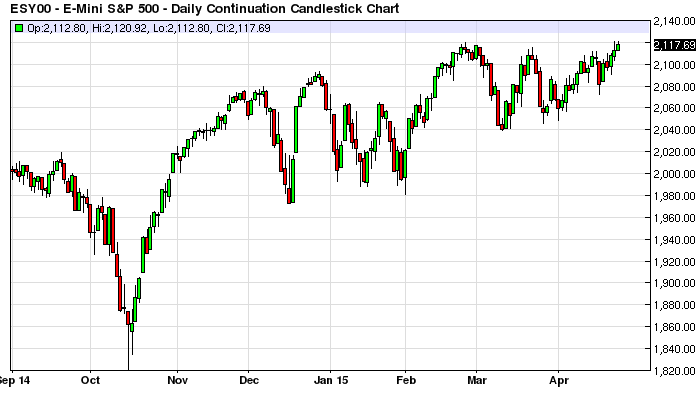 Now look at the right side in October 2014 when the drop occurred. The drop from 2020 to 1925 — is a fractal of the entire drop from 2020 to 1820. 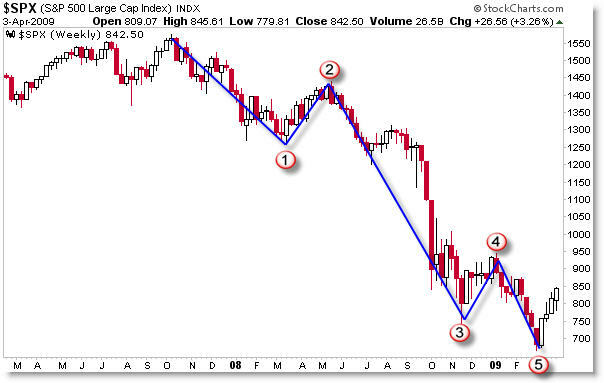 Note how the above c-wave or 4-wave down (during an uptrend) is distinctly different from the typical impulse pattern that happened during the 2008-2009 financial crisis. Note that C-wave down – that first portion – could potentially have a lot of up and down – in the form of an expanding diagonal as this happened on October 4, 2016. We are looking at the c-wave going into 2135 – which begins with a b-wave overnight bounce/consolidation. However, as the c-wave went down, there was a lot of volatility -so it’s not always clear that the c-wave will happen. That said, when this set up is in place — it is ALWAYS recommend to not buy UNTIL the afternoon — do not buy in the morning – as the c-wave will at least need into the afternoon to finalize. The c-wave down was not clear in the morning — but was very clear by 2pm. It bottomed at 3pm – and at 3pm would have been an excellent opportunity to buy at previous support. After the close on May 3 – news came out that there would be a Healthcare vote – a second one – the next day on Thursday. The market started to climb up – but then the next morning gave up all its gains – even making new lows for the Russell and Dow. After the bill was actually passed, the market had already bottomed and was climbing its way up. So the initial excitement lead to a selloff in the morning into the actual vote. Once the vote results came out – the market had just bottomed and was working its way up. 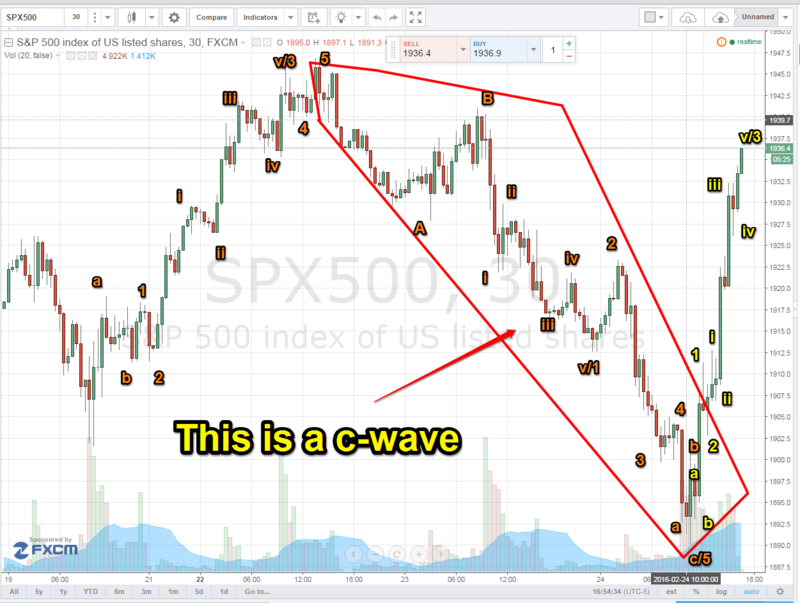 Aug 25, 2017 – Perfect C-Wave Setup?